Haunted caves are starting to draw the interest of paranormal investigators that those that have an interested in the world of the paranormal. Dark caves have always projected a sense of mystery and a sense of intrigue among those that come in close proximity of them. Caves are natural voids that are located in various locations throughout the world. There are many different types of caves. These types include glacier caves, lava caves, solutional based caves, as well as corrasional caves. 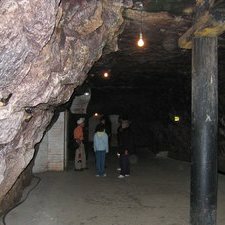 Caves are often quite cool in temperature and have a high level of humidity. Individuals that have been courageous enough to enter various caves around the world have often come out with stories surrounding unexplained phenomenon and the paranormal. There are many strange tales, intriguing legends, and documented cases where individuals have reported unusual events that have transpired in and/or around certain caves around the world. These beautiful, yet mysterious land formations continue to draw the interests of those that actively pursue investigations of the paranormal. Most individuals that investigate the paranormal legends and stories surrounding caves have one of two goals in mind. The first goal is to debunk the stories that so many have shared or believe. The second goal is to validate the apparent paranormal activity – if at all possible. It does not matter if you are an official paranormal investigator or an individual that engages in ghost hunting as a hobby, many caves around the world offer plenty of opportunities for investigation. There are many theories surrounding the presence of ghosts in the caves that are believed to be haunted throughout the world. The first theory is that one or more people have lost their life in the cave and are apparently attached to the physical location. There is another theory that many individuals throughout history that could practice various types of religions such as witchcraft and Satanism would retreat to the dark caves in order to keep their rituals and services hidden from the outside world and their spirits or the spirits of those that they conjured still remain within the land forms. Then, there are those that believe that caves actually serve as a portal to the spiritual plane. Many have even stated that caves are the portals from hell that allow demons to enter into the world. Regardless of who is right and who is wrong, there is no doubt that haunted caves are some of the most mystifying and spiritually charged locations throughout the world. The Bell Witch Cave is rumored to be on of the most haunted locations in all of America. Many unusual sounds and visual oddities have been experienced in the haunted Chislehurst Cave. 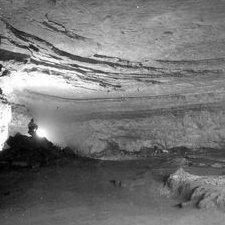 There are several haunted legends of the Mammoth Cave in Kentucky.